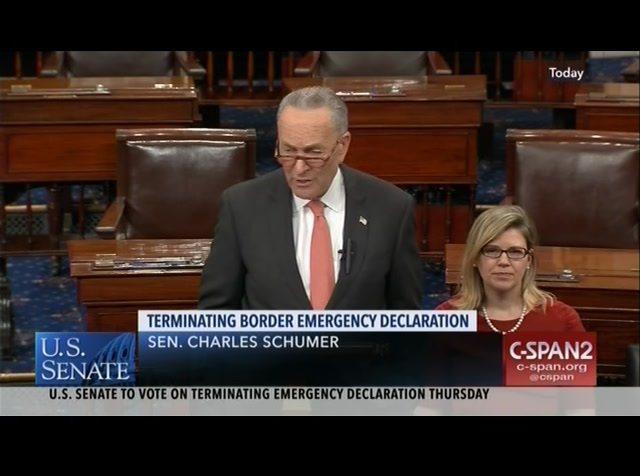 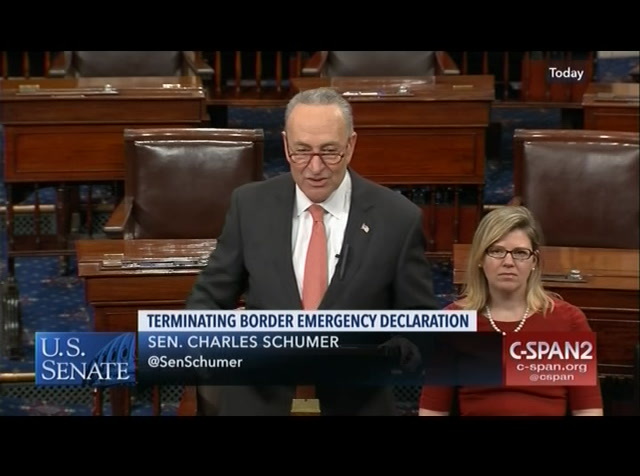 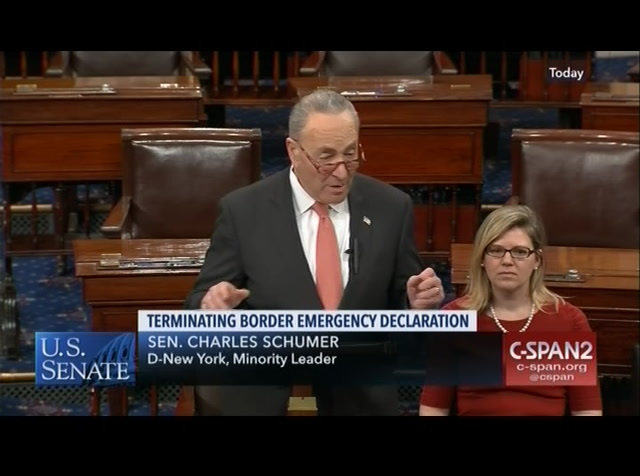 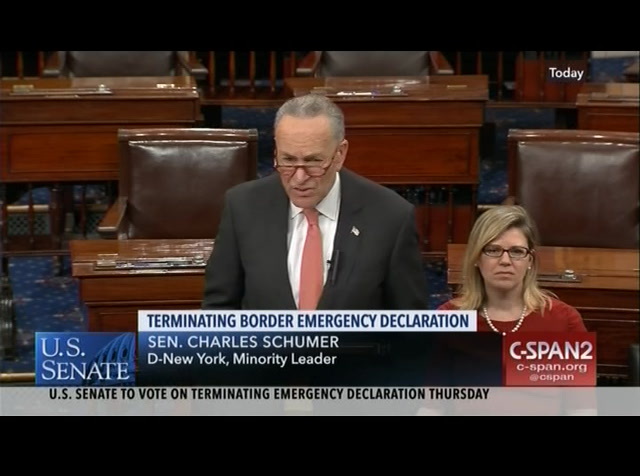 Senate Minority Leader Chuck Schumer (D-NY) spoke in support of Thursday's resolution to terminate President Trump emergency declaration to pull funds from military construction for the southern border barrier. 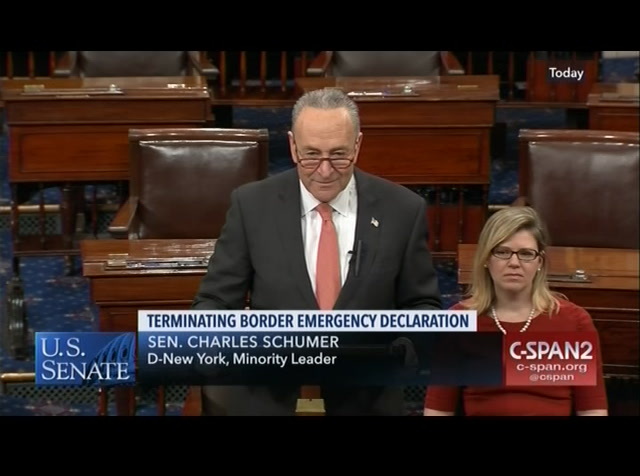 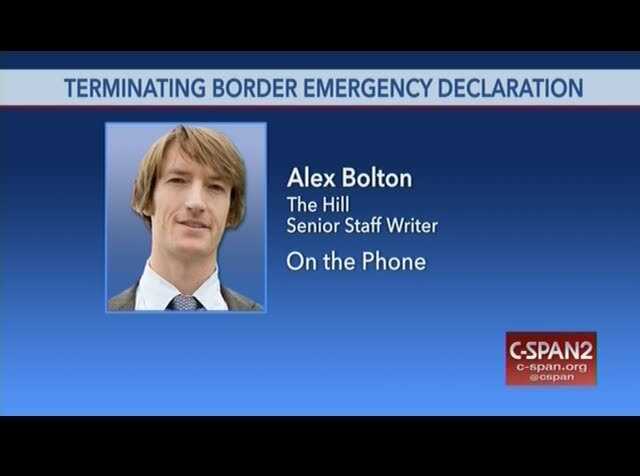 The Senate will vote on the resolution Thursday. 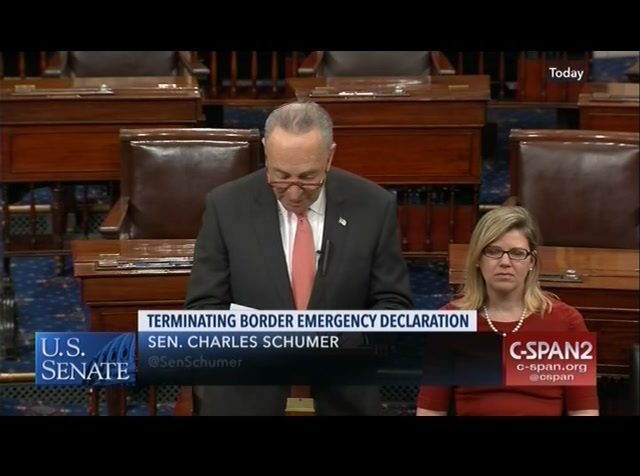 The House passed the measure Feb. 26, 245-182. In the House, 13 Republicans voted for the resolution. 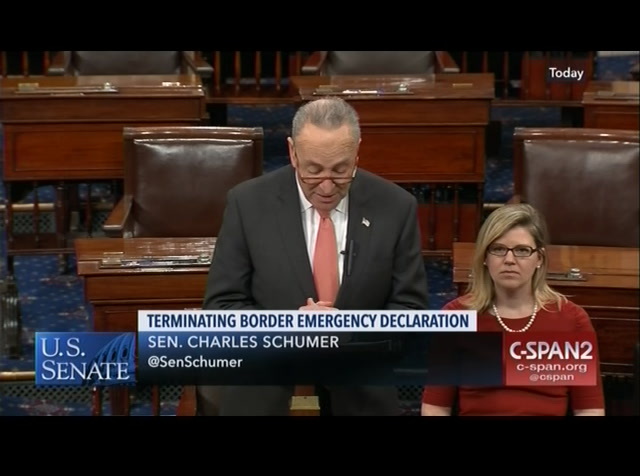 The Senate needs the support of four Republicans for it pass (if all Democrats vote yes). The White House says President Trump will veto the measure.